Worn only once for a short period of time. 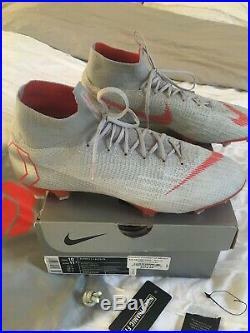 Bought the wrong size and cannot return them so must sell. These are in excellent, like new condition. Check out details and specs. 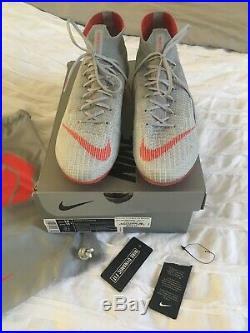 The item “Nike Mercurial Superfly 6 Elite FG Size 10 (Worn Once) Grey/Crimson Color” is in sale since Thursday, April 11, 2019. 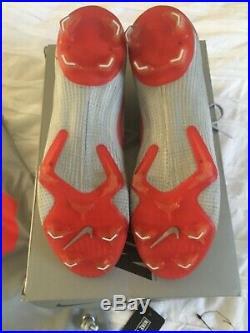 This item is in the category “Sporting Goods\Team Sports\Soccer\Clothing, Shoes & Accessories\Shoes & Cleats\Men”. 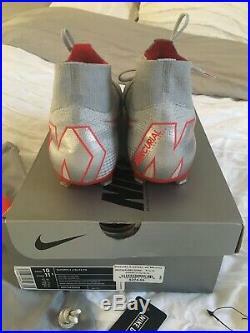 The seller is “kayvmintojoe” and is located in Orlando, Florida. This item can be shipped to United States, Canada, United Kingdom, Denmark, Romania, Slovakia, Bulgaria, Czech republic, Finland, Hungary, Latvia, Lithuania, Malta, Estonia, Australia, Greece, Portugal, Cyprus, Slovenia, Japan, China, Sweden, South Korea, Indonesia, Taiwan, Thailand, Belgium, France, Hong Kong, Ireland, Netherlands, Poland, Spain, Italy, Germany, Austria, Bahamas, Israel, Mexico, New Zealand, Singapore, Switzerland, Norway, Saudi arabia, Ukraine, United arab emirates, Qatar, Kuwait, Bahrain, Croatia, Malaysia, Colombia, Antigua and barbuda, Aruba, Belize, Dominica, Grenada, Saint kitts and nevis, Saint lucia, Barbados, Bermuda, Brunei darussalam, Bolivia, Egypt, Guadeloupe, Iceland, Jordan, Cambodia, Cayman islands, Sri lanka, Luxembourg, Monaco, Martinique, Maldives, Nicaragua, Oman, Pakistan, Paraguay, Uruguay. Worn only once for a short period of time. 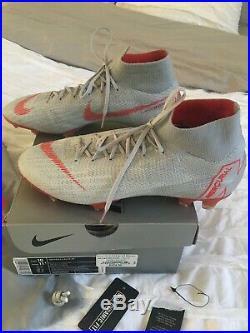 Bought the wrong size and cannot return them so must sell. 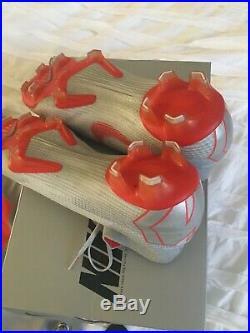 These are in excellent, like new condition. Check out details and specs. 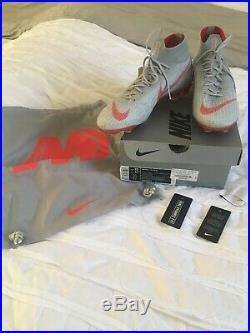 The item “Nike Mercurial Superfly 6 Elite FG Size 10 (Worn Once) Grey/Crimson Color” is in sale since Thursday, February 28, 2019. 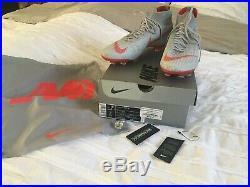 This item is in the category “Sporting Goods\Team Sports\Soccer\Clothing, Shoes & Accessories\Shoes & Cleats\Men”. 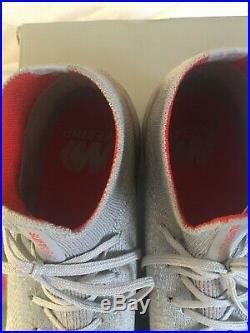 The seller is “kayvmintojoe” and is located in Orlando, Florida. This item can be shipped to United States, Canada, United Kingdom, Denmark, Romania, Slovakia, Bulgaria, Czech republic, Finland, Hungary, Latvia, Lithuania, Malta, Estonia, Australia, Greece, Portugal, Cyprus, Slovenia, Japan, China, Sweden, South Korea, Indonesia, Taiwan, Thailand, Belgium, France, Hong Kong, Ireland, Netherlands, Poland, Spain, Italy, Germany, Austria, Bahamas, Israel, Mexico, New Zealand, Singapore, Switzerland, Norway, Saudi arabia, Ukraine, United arab emirates, Qatar, Kuwait, Bahrain, Croatia, Malaysia, Colombia, Uruguay.